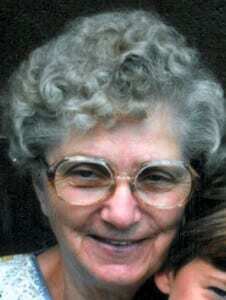 Rowena M. Kuhn, 89, of Fayette, died Tuesday evening, January 14, 2014, at Fairlawn Haven Nursing Home in Archbold. She was born March 3, 1924, in Fayette, to the late Earl and Ethel (Randall) Ebersole. She married L.C. “Chub” Kuhn on March 5, 1943, in Angola, IN, and he preceded her in death on August 30, 2000. Rowena, a life-long Fayette resident, was a homemaker and enjoyed upholstering furniture and making wedding cakes. Surviving is a daughter, Judy (Gene) Kunkle of West Unity, OH; son, Dale Kuhn of Denver, CO; a brother Weldon Ebersole of Pioneer; three grandchildren, Michael, Leandra, and Rosie; five great-grandchildren, Paige, Zoe, Ellie, Macey, and Jacob; and several nieces and nephews. In addition to her parents and husband, she was preceded in death by two brothers, Wendell and Lavoyd “Bud” Ebersole, and a grandson, Shane Kuhn. A funeral service for Rowena will be held on Saturday, January 18, 2014, at 2:00 p.m. at the Eagle Funeral Home-Barrett Chapel in Fayette with Pastor Kim Repp officiating. Interment will follow in the Pleasant View Union Cemetery in Fayette. The family will receive friends for a visitiation on Friday evening from 3-8 p.m.
Those planning an expression of sympathy may direct memorial donations in Rowena’s honor to the Gorham Fayette Fire Department. Friends can share memories and words of comfort with the Kuhn family online at www.eaglefuneralhomes.com. Be the first to comment on "Rowena M. Kuhn (1924-2014)"